Wed., Dec. 21, 2016, 4:27 a.m. 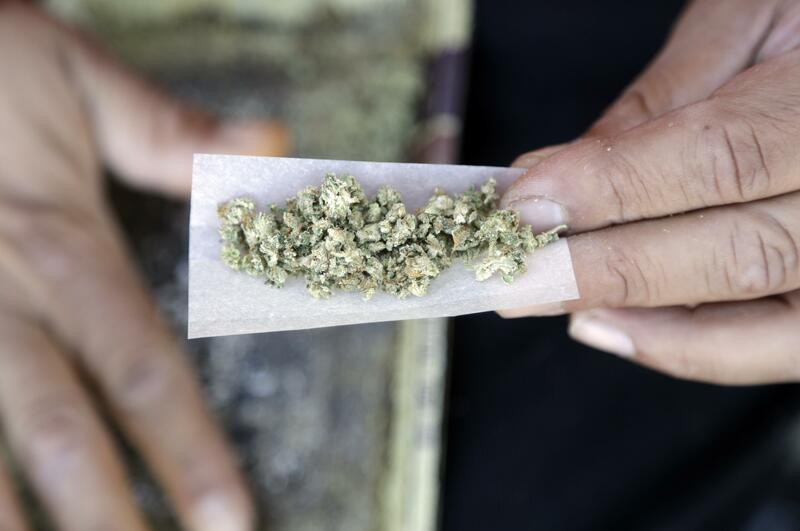 Teen marijuana use fell sharply in Colorado in the years 2014 and 2015, after the opening of that state’s recreational marijuana market, new federal survey data show. The state-level data from the National Survey on Drug Use and Health showed that 18.35 percent of Coloradans ages 12 to 17, had used marijuana in the past year in 2014 or 2015, down sharply from 20.81 percent in 2013/2014. (In this survey, years are paired for state-level data to provide larger sample sizes). That works out to roughly a 12 percent drop in marijuana use, year-over-year. Year-over-year teen marijuana use fell in most states during that time period, including in Washington, the other state to open recreational marijuana markets in 2014. But that drop wasn’t statistically significant. Conversely, adult marijuana use rose significantly in Colorado over the same time period. Among Coloradans ages 26 and older, past-year marijuana use rose from 16.80 percent in 2013/2014 to 19.91 percent in 2014/2015. Annual adult marijuana use was up in most states during the same time frame. The legal marijuana markets in Colorado, Washington and elsewhere feature strict age and purchasing limits. This federal data released this week is the first clear evidence of a drop in teen marijuana use in Colorado following legalization. Legalization supporters have long argued that the best way to prevent underage marijuana use is to legalize and regulate the drug. Marijuana use is generally a riskier endeavor for adolescents and young adults, whose brains are still developing. Studies show people who start using marijuana in their teens are at a greater risk than adults of becoming dependent on the drug or suffering from mental health issues related to it. The federal data doesn’t speak to what, exactly, is behind the decrease in teen marijuana use in Colorado. Broadly speaking, adolescent substance use has declined across the board in recent years. In Colorado, the drop in teen marijuana use could reflect changes related to legalization, such as a diminution of the black market. Or it could be a reflection of broader cultural trends, such as increasing disapproval of teen drug use or better substance abuse prevention programs for kids. It’s likely that a number of factors are at play. Some experts had expected more permissive attitudes toward pot to lead to increased teen use and have subsequently been surprised to find that teen marijuana use has held steady or even fallen nationwide over the past few years. The federal survey data do show that the overall rate of teen marijuana use remains higher in Colorado than it is in any other state. But that trend began well before legalization. Other data sources, including the Colorado Department of Health’s own numbers, show that Colorado is essentially middle-of-the-pack among the states on adolescent marijuana use. In either case, the overall trend – flat or falling teen use – appears to support legalization supporters’ arguments that liberalizing marijuana policies will not pose a serious public health threat to adolescents. Published: Dec. 21, 2016, 4:27 a.m.